Washington, Illinois is fifteen minutes from my home. It's where L attends parochial school. It's where we hope to move to and raise our kids. It's where several of my family members and many of my friends live. 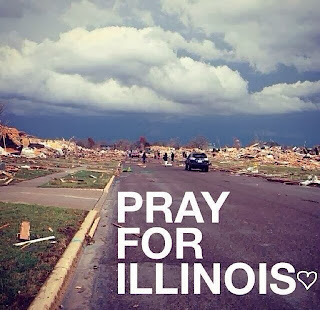 Today a powerful tornado went through Washington, along with many other Illinois towns. Hundreds of homes were completely ruined. At this time there is one confirmed death and another eight critically wounded at the hospital. Thanks be to God, my family is all safe. Please pray for the people of Washington and all those affected by the storms. We are QCA and the storm wasn't nearly as bad here but still shook me up. When I saw the news about the Peoria area you were the first person I thought of. I am glad your family is safe!! More prayers for all. Wow! I'm glad you and your family are safe. Natural disasters are really no good. 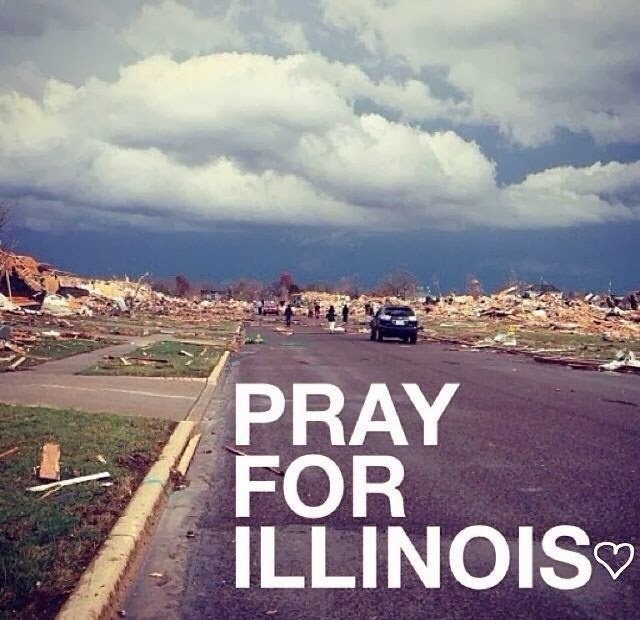 Definitely praying for Illinois! Lordy Lordy. I sure will be praying for everyone affected. So glad that you are safe. Thanks for letting us know. I'm glad you're safe and will be praying for those who were affected. I was thinking of you when I heard about the tornado...glad you are okay! Oh Girl! yes yes yes to praying. oh man. Come Holy Ghost. Comfort the afflicted. Amen.